When the manual for a military radio is written the equipment listed for bench test is what was standard issue at the time. To run the same test today you can substitute more modern equipment as long as the newer equipment has equal or better specs. For serial numbers in the format iijjAnnnn adding 60 to ii is the year made, jj is the week, the letter is the country where made. The series prefix doesn't represent the date of manufacture. Instead, it represents the date of the last production change that affects form, fit, or function, or for other modifications such as firmware version changes. We use the series prefix to tie production changes (changes in production documentation) to changes in customer documentation. Because of the FM capture effect the way receiver sensivity is measured must be different for FM and AM radios. AM radios have no capture effect. 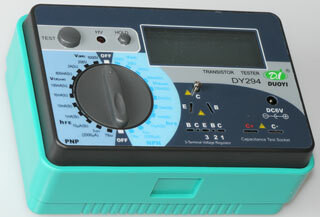 The inclusion of noise and distortion with the signal is the way a distortion analyzer works, i.e. it measures everything then notches out the test tone. The prior signal to noise ratio was difficult to measure because it required a spectrum analyzer to measure the signal all by itself. I think the values used for SINAD when the HP 300 series analog distortion meters were popular was 10 dB. But these meters used a average reading AC voltage detection method that was in error about 2 dB for non sine signals. With the introduction of the 8903 and other true RMS reading distortion analyzers the spec was changed to 12 dB to produce about the same sensitivity readings as the prior analog instruments. 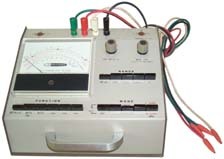 (The 8903 has an internal jumper option to connect an average reading detector if compatibility with the older 300 series instruments is needed). The common modern definition of receiver sensitivity is the power level that produces a 12 dB SINAD. The idea is that there are two factors contributing to the received audio signal to noise ratio in an FM receiver. First as the signal strength increases from the noise level the audio output gets quieter (this is even when there is no modulation on the carrier). Second as the signal strength with modulation increases from the noise a 1 kHz tone will get stronger. The difference between the true RMS audio output with the tone modulation on and the true RMS audio output with the tone modulation off is the SINAD. One way to measure this in a single step is to use a SINAD meter or a Total Harmonic Distortion (THD) meter. Both of these methods notch out the 1 kHz tone and can measure both the tone and what's left. The advantage of this method is that you don't need to turn the 1 kHz modulation on and off. This would be very good when testing the SINAD in the field from a transmitter at a remote fixed point. By using a real SINAD meter like the HP 8903B/E Audio Analyzer the transmitter can be sending a constant 1 kHz tone and the meter will notch out the tone and report the SINAD. This would allow drive testing using GPS in the mobile unit or using a time log to allow plotting SINAD vs. position of the mobile unit. Note for receiver testing the "E" version (no audio gen, just the meter) of the 8903 is about 1/2 the price of the "B" version (internal audio gen). Another way to measure SINAD is to just turn on and off the modulation (note the carrier is left on all the time). This has the advantage that you only need a true RMS voltmeter instead of the SINAD meter or a THD meter like the TS-723 (HP 330 series) distortion Analyzer. I am using this method with the HP/Agilent 8648A signal generator and HP/Agilent 34401A Multimeter under computer control so that a plot can be made of both the plain AF noise output, the 1 kHz tone output, and the SINAD. The problem with this is the requirement to turn on and off the modulation. Easy to do on the bench but more difficult when a mobile unit is driving. By using a signal generator like the HP/Agilent 8648A with option 1EP and a voltmeter like the HP/Agilent 34401A a plot of the audio frequency response can be made. It's interesting that the PRC-25 has a peaky response centered at 300 Hz but the PRC-126 has a fairly flat response from 100 to about 9,000 Hz. This is probably because the PRC-126 was designed to support voice encryption over an even wider audio bandwidth and the SPKR audio has been low pass filtered to improve the s/n for clear voice. This plot was used in a before and after manner when the PRC-25 was upgraded to the PRC-25B to support multiple channel telephony. Can be measured with a power meter like the PRM-34 or similar meters. Can be measured with a filed test meter like the PRM-34 or a modern spectrum analyzer like the Agilent 4395A. When the transmit output frequency is not known the spectrum analyzer is a great tool to find the frequency. Can be measured with a deviation meter like the ME-505 or ME-525 but can also be measured directly on the Agilent 4395A or other spectrum analyzer. 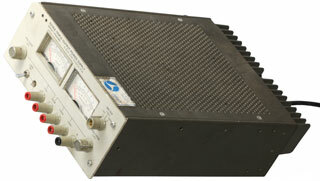 The HP 8901 Modulation Analyzer is a modern version of the ME-505/525. The spectrum analyzer makes this an easy test but it could also be done using a receiver, but finding spurious outputs with a receiver is very tedious unless a computer can do a spectrum sweep. This paragraph is for equipment that I either have now or have used. Since I do LabVIEW programming, instruments with IEEE-488() and/or RS-232 so that they can be computer controlled are a plus for me. You can get a lot more out of an instrument when a computer is in control vs. manual operation. HP/Agilent 4395A Combination Network, Spectrum, Impedance Analyzer covering 0 to 500 Mhz. Note this includes audio frequencies. What I miss is the range from 500 MHz to about 2.5 GHz. Maybe a front end down converter is called for. If you know of one, let me know. Stanford Research SR620 Time interval and Frequency Counter - this 16 digit 1.3 GHz counter has a single shot time interval resolution of 25 pS which makes it ideal for working with 1 Pulse Per Second timing signals. HI-IB I feed it's external clock and that of the 4395A with a Stanford Research PRS10 Rubidium Source that is locked to the GPS system by means of a Motorola VP Oncore GPS receiver. 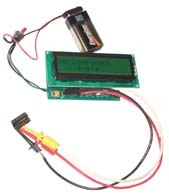 A home Made 4-way GPS Splitter feeds the Motorola Oncore VP GPS receiver and other GPS receivers. HP 53132A Counter - This counter can count frequency at the rate of 12 digits per second but has no speed advantage for Time Interval Counting. It also has a very user hostile manual and computer interface. Traded for the SR620. American Reliance 1132 Electronic Load - great for testing batteries and power supplies. HP-IB & RS-232 interface. HP 6038A 60V @ 10 A The four models with over 1000 watts are full rack wide, but the two lower power units are half rack wide. 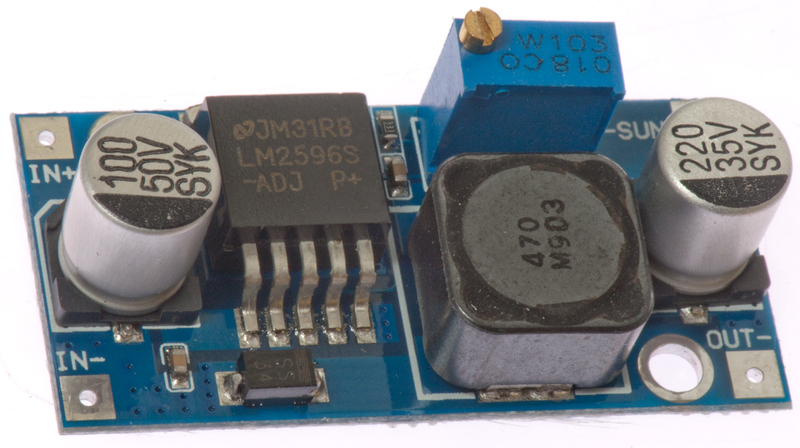 HP 6216A Power Supply - this is a small 0-30 VDC @ 500 mA supply that good for manual analog testing CV/CC operation. There are a number of supplies in the 663x series, all are 100 Watts, but they have different max voltages and currents. A key feature for me is that it's a two quadrent supply, i.e. it can source and sink power. You can charge a battery and then discharge it just by changing the sign of the dirve. The metering has ten times the resolution of the E3617A. Minor complaints: no back light in display and fan on all the time. Note that you can parallel like outputs. This was purchased very used to replace the HP E3631A Triple Output Digital Power Supply. The problem with the E3631A is that after a power failure it defaults to all three outputs at zero volts. The 6236A uses front panel knobs to set the voltage and so comes up from a power failure at the set voltages (+5, +12 and -12 in this case). Note: There are only two voltage adjust knobs. One for the 0-6 Volt supply and the other controls both polarities of the 0-20 Volt outputs. But there are seperate metering switch positions for each of the three supplies. both the +12 and -12 were at zero and the 5V was low. C33 s.b. 490 uF @ 85V tests at 54 Ohms ESR & 0.53 uF so is bad. When removed it tests as an open. It's across the +7.5V rail, maybe why the +5 output has limited range. Since this supply also poweres the op amps and reference voltages it may be the only problem. Caps on order 21 Feb 2011. The vent (hole in center on right) is intact, i.e. it has not blown. Test open for DC and capacitance. Agilent E3617A 0-60 V 0-1A single range digital readouts but 10T analog controls for Voltage and Current. 4 times the power (and size) of the HP 6216A. But no computer interface, it's a linear supply that can be externally controlled with the old HP programming box. The Voltage display reads to 0.01 Volts (i.e.. 10 mV, but it is not that accurate according to my Fluke 86 DMM in 6 digit mode. Current display resolution to 1 mA, but have not checked it. This is my most used power supply. It resets when the power fails. My hope was that this would contain a 400 Hz 3-phase supply, but instead it has a number of DC power supplies. Note aircraft "14 Volts" is exactly the same a ground vehicle "12 Volts" just as aircraft "28 Volts" is the same as ground vehicle "24 Volts". 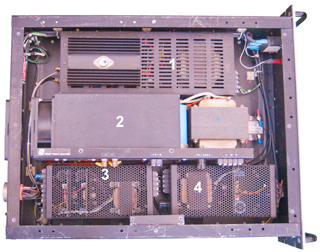 These power supplies are set for the upper end of the range for each voltage (12V = 10 to 15 and 24V = 20 to 30). I'm going to remove each supply and use No. 2 and 4 by connecting "12 Volt" Power pole connectors. Note "12 Volts" means 10 to 15 Volts so these are perfect. No. 1 will have a "24 Volt" power pole connector added. No. 3 will go on the shelf. On eBay you can buy ready made printed circuit boards with a SMPS circuit. Note: a SMPS can be thought of as a transformer for DC. If you look at the voltage x current at the input it's about the same as a voltage x current at the output. While in operation the output power as a fraction of the input power (efficiency) is typically in the mid 90% range. 40/4 VDC input, 35/1.3 VDC adjustable output step down only. is the eBay title. From Malone Electronics, WA. Calibrated using an HP 34401. Very low cost ($27.50). The data sheet that came with it said 5.00005 at turn on and 5.00021 after 15 minute warm up. You can see I'm getting 5.00012. The more accurate Geller SVR Voltage reference is on order. 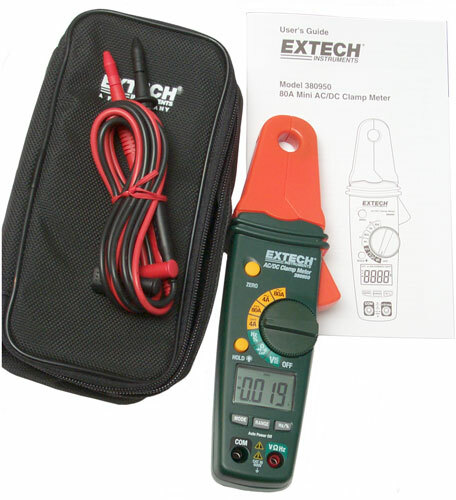 This 4000 count meter has the ability to work for DC amps which is the key thing I got it for. The lowest DC Amp range is 4.000 A full scale. To use the range after powr on and waiting a little for the meter to stablize press the ZERO button. Then connect to the wire carrying the current. Note that for small DC currents you can put multiple turns of wire in the 0.49" ID hole and divide the displayed current by the number of wires going through the hole. With 10 turns the full scale range changes to 0.4000 Amps. VAC & VDC using the supplied test probes, Resistance, Continuity (but slow), diode test, capactance, Frequency or Duty Cycle and Analog Amp output (10 mV/A) to a scope or DMM. Powered from two AAA batteries under cover with two (+) screws. The manual is both English (shown) and Spanish (from back cover), to so reduce it's size I cut off the Spanish half. 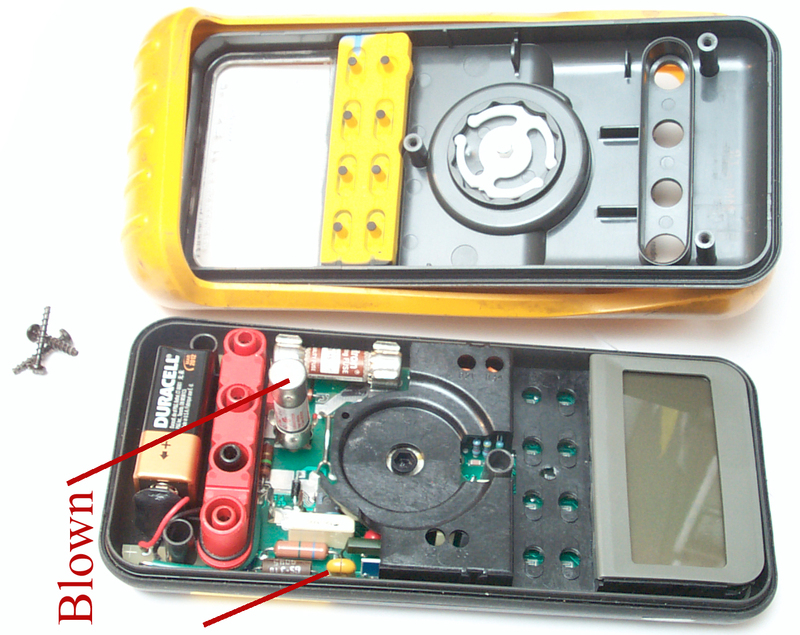 Fluke 87 DMM - This is a powerful and easy to use handheld meter that is about bullet proof. Someone said that you could put it into Ohms range and plug the leads into a wall socket, but I don't want to try it. I have let the smoke out of a number of cheap meters by measuring a power supply with the range switch set on Ohms. The current in the diode test mode is a solid 1.0 mA. This is very good to help identify diode types. There are some undocumented beeps that have some meaning. Volts, Ohms, Amps, frequency, capacitance. The Max/Min function is really handy for checking to see if there was some type of failure and for ranges of a changing value. If you only have one meter this is the one to have.. When trying to test a Weston 594 Photonic cell no current could be measured, but it did have voltage output. Also voltage across a shunt 100 ohm reisitor. 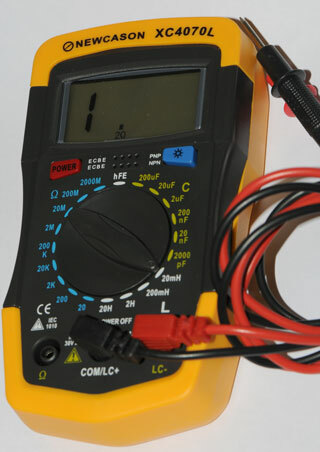 The self test on the Fluke 87 is to probe in Ohms mode between V-Ohm-diode connector and the mAuA connector where you should see 1 k Ohm. The yellow component is NOT blown, it's a spark gap. Also the yellow part OK. It turns out the 1k resistor from the bottom of the mA/uA jack that gets shorted by the range switch when in the mA range is not part of the analog circuitry but rather part of the digital monitoring of where the test leads are plugged in. So it was reinstalled along with the adjacent four pin DIP bridge diode and a wire soldered across the blown fuse terminals. After reassembly not only are the mA and uA ranges working but also the back light now works. There must have been a bad connection (see What Goes Wrong) between some of the parts that's now good. This is THE DMM to have. Got it because the OFF switch on my Fluke 87 (first version) DMM does not always turn it off, so the battery goes dead. 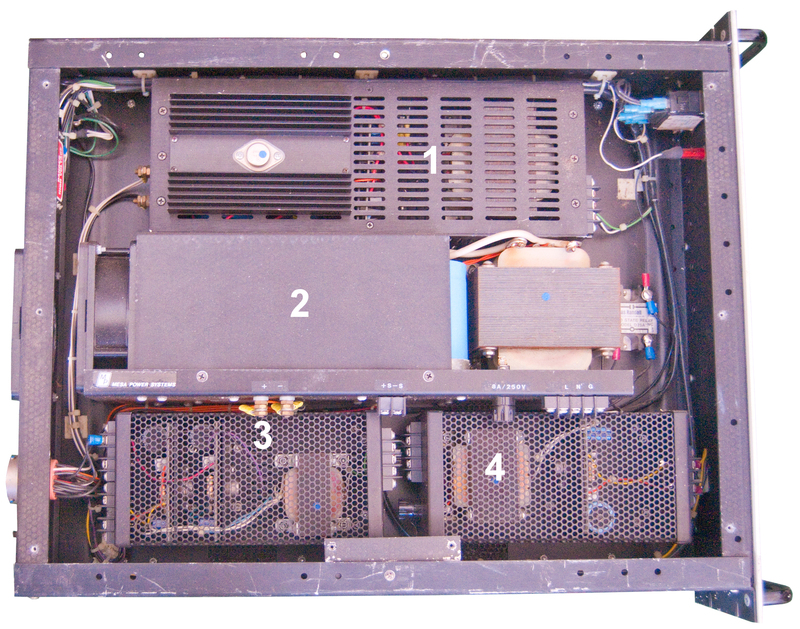 The 87V is the standard of comparison at EEVBlog by David L. Jones. HP 3400A True RMS AC Voltmeter - with a 10 MHz bandwidth. (the 3400B has a 20 MHz bw) uses this in many automated test systems to do the RMS detection and fed it's DC output into a digital DC voltmeter. HP 415E SWR Meter (also a 60 dB dynamic range gain/attenuation Meter) - just a very narrow bandwidth 1 kHz voltmeter. Has many uses. HP 436 Power Meter - HPIB, this and all the newer power meters rely on a 50 MHz calibration signal since they can not make a fundamental power measurement, like the 432. HP/Agilent 34401A Multimeter will measure AC (true RMS) and DC volts 2 and 4 wire Ohms, frequency and period, diode check and a number of other things. HP-IB & RS-232 This is an extremely popular meter and offers very good performance for the price. App Note on Kelvin Connection which allows measuring resistance to 0.000,1 Ohm (100 micro Ohms). TS-330 Crystal Impedance Meter can measure actual crystal parameters, unlike the crystal activity meter that's more of a go-nogo instrument. TS-585 - This is a military Audio Output Meter that has built in impedance matching over a very wide range. Great for manually determining the audio input or output impedance of various audio devices. The lowest inductance range is 20 mH, so it's not much use for electronics use where the common values are below it's ability to measure. Heathkit IT-10 Transistor-Diode Tester - simple way to ID diode and transistor polarity and get a rough idea of beta. The IT-27 may be the same tester with different color paint. This tester is very simple and seems to be very reliable. You get some idea of relative beta. Uses a couple of "D" batteries and a 100 uA meter movement to test Beta, gm, and a number of leakage currents. Needed some contact cleaner in the switches and pots (was used by a heavy smoker). The 166 Ohm cal resistor is supposed to be taped to the inside of the front panel (it's used for setting the pot on the PCB, but if not you can make one by connecting two 100 ohm resistors in series then connecting that 200 ohm resistor in parallel with a 1000 ohm resistor. GE Transistor Manual "Safe and Simple Transistor Tester'. Made this for work when we were buying Ge microwave transistors and characterizing them ourselves rather than pay TI a lot extra to sort them. The 150 Ohm cal resistor is built in on S4 so to do the full scale cal just press BATT TEST and S3. You can get numbers for beta, and a number of leakage currents. TS-1836C/U - Military in and out of circuit tester also tests FETs and diodes. Uses self rectification of square wave input to generate a DC output when xixtor is in a common base configuration. So far not very useful. TL-120 - rechargable battery powered tester, automatic detection of NPN or PNP, no setttings or meters, just LEDs for PNP, NPN & Fail LEDs. NSN 6625-00-367-9323 patent 3870953 In-Circuit Electronic Component Tester 324/72.5; 324/537 made by Testline. Uses a single probe that has three plunger type pointed tips so you can contact all three transistor PCB pads with one hand. Handy probe and quick check. This Electronic Goldmine tester uses a 555 oscillator driving a Flip Flop to act as a DPDT switch reversing the polarity to a common emitter configuration. By noting which of two LEDs turns on you can tell the polarity of a transistor. But you need to which terminals are the Emitter, Base and Collector. possible for such a simple circuit. This is the most advanced unit for the price. Although there are a number of things I'd do to improve it. There are three test leads, each of which is fed using a series resistor that's selectable (100k, 10k, 1k or 100 Ohms) and that resistor can be connected to either +5 or ground. There's a DC voltmeter on each lead. So by driving the leads two at a time and subtracting voltages you can find the voltage across the DUT. Also since the voltmeters are after the series resistors you can also find the current at each lead. I'm having a problem with calibration. It may be that I've just got some high resistance mux chips (M3 is sending 3 more chips at no charge, good support). It turns out that if there's solder flux left on the board it can allow leakage to the high impedance voltmeter inputs. Radio Shack no longer carries flux cleaner, so it's not available in my small town. Isopopropal alcohol did not work. But acetone did work. The problem was poor solder joints caused by using a fine tip soldering iron on a PCB with 2 ounce copper. You MUST use a high wattage soldering iron in order to heat this PCB. Note you can see that the solder is not shiny, it's dull when inadaquate heat is used. The neat thing about it is that it not only figures out which lead is which for transistors, FETs, etc. but it also shows some variable parameters like Vbe, HFE, whether it's a PNP or NPN, or N-JFET or P-JFET, etc. The display cycles automatically which may be good for an experienced user, but I'd rather have a "next" button to make writing down the answers easier. It's great for sorting out grab bags of 3 leaded devices. I'm planning on adding a machined pin IC socket cut down to 3 terminals in addition to some nice E-Z-Hook grabbers to replace the cheezy ones that come with the kit. This unit runs from 6 VDC, either 4 internal AA cells (although the battery compartment can hold 6 cells, but two positions have no electrical contacts) or using a female plug wall wart. It can test transistors for: VBR, VCEsat, hFE, Iceo. 3-terminal voltage regulators with 27 Volts input. 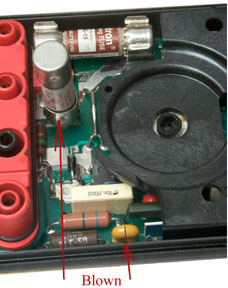 Withstanding voltage on electrolytic caps up to 1000+ VDC. 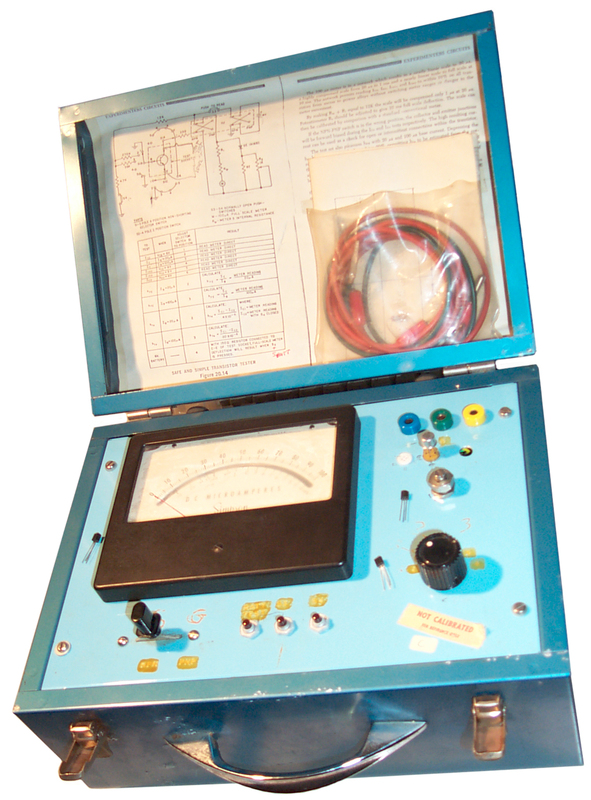 This tester has a current limited high voltage supply that is activated when the TEST buttom is pressed (the red LED warning lights when high voltage is present). When measuring the forward voltage drop on a semiconductor at 800 mA or 2 A the external 6 V @ >=2A power supply should be used. I wrote many HP Basic programs to dirve the HP semiconductor analyzer boxes like the 4142 & 4145 DC box and the related LCR meters. Also has provision for SMT parts. If the SMT LED was removed it might also be used to test LEDs? DUT needs to be able to fit into socket eliminating things with fat leads. 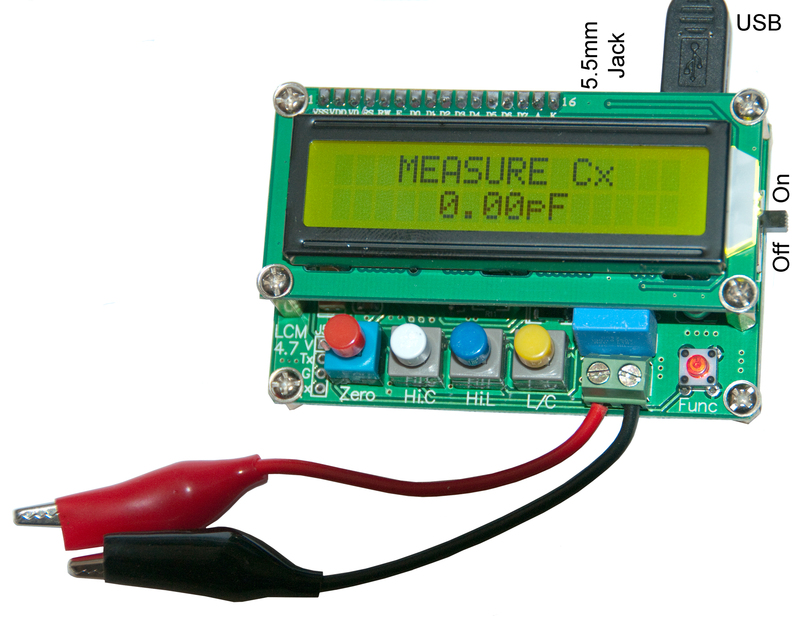 This tester is limited to testing inductors or capacitors, but it does that better than the more general purpose testers. Powered by either a Mini-USB cable (included) or a Wall Wart supplying 5 VDC (not included). Comes with short test leads that are connected to screw terminals. Pushing the red button at the lower right displays the test frequency (which changes with component value because this tester works be resonating the DUT with a component that's part of the tester. May be a knockoff of the AADE L/C Meter. Note (Up/Down) the White (/HiC), Blue (/HiL) and yellow (C/L) buttons are latching. Fluke 87 (or any DMM with a diode test) can be used to check for the Base-Emitter and Base-Collector junctions of a transistor. This is a very powerful method that's also simple. But it's more time consuming than more advanced test methods. In diode test mode the red lead is positive and the test current is 1 ma (this is a very good way to do this since the Vf of most dioeds is specified at 1 ma). If a transistor tests as two forward diodes with the red lead common then the transisotr is an NPN but of the black lead is common then it's a PNP. Most silicon PN junctions have a Vf of about 0.6 volts. Silicon Schottky junctions range over 0.28 to 0.35 depending on the barrier metal. Germanium is more like 0.4 volts. The 87 is the first piece of test equipment that I use. If you're going to only have one test instrument this is it. The only time it failed me was when checking a lawn sprinkler system and the 87 showed voltage at the valve but the valve was not activating. 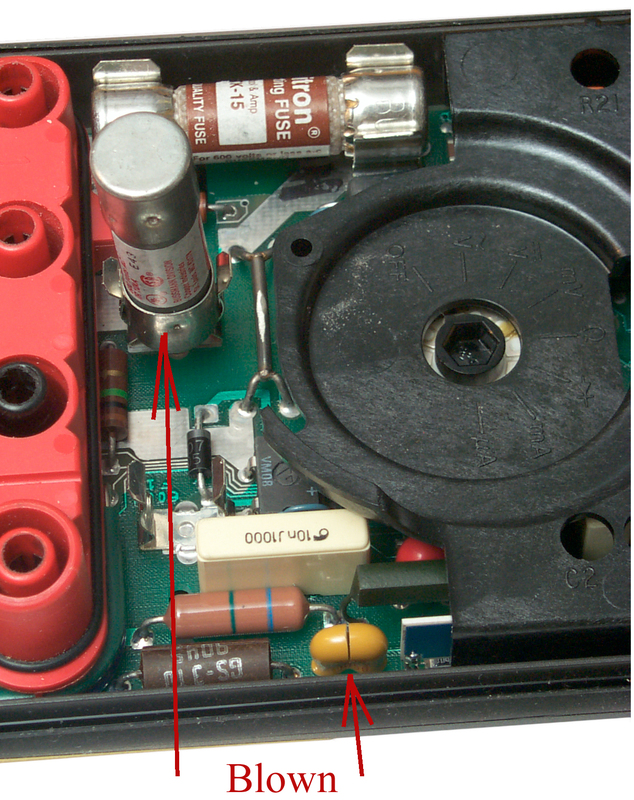 The Fluke 12 showed no voltage in the "V-check" where the input impedance is 1 k ohm. 2899642 Transistor Test Set, Hussey, 11 Aug, 1959 324/768 - very simple battery powered appha & Ic tester, very much like the Heath IT-10. Because of the difficulty in measuring transistor "h" parameters (defined under conditions requiring a short or open) HP came out with the 8410 network analyzer that terminated the input and output of the transistor in 50 Ohms and thus got around the oscillation problems caused by the opens and shorts. S-parameters were measured and used in design. Tektronix 515A tube type 15 MHz scope - I got this new from Tek when I was going to college. Picked up at the Fabian Way, Palo Alto Tek office near Philco (aka Philco Ford, Ford Aerospace, aeronurotic Ford, etc.). They had a washing station where the scopes were cleaned. This, and most Tek scopes, were designed to stand water washing. Rigol DS1052E - is made by the same company that makes the low end Agilent scopes, but for much less money! 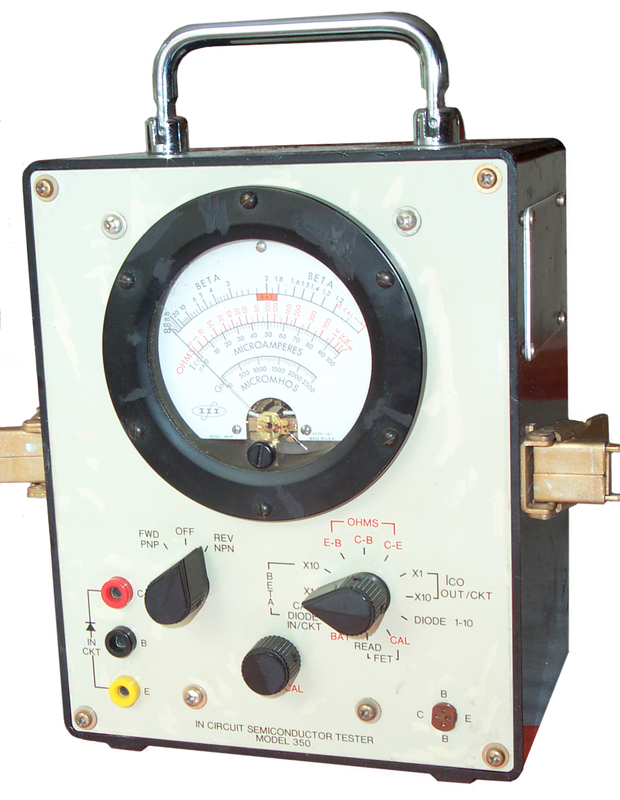 Heathkit ____ - 100 KHz crystal calibrator, for use with analog short wave receiver to know where you are tuning, i.e. set the banband spread dial. 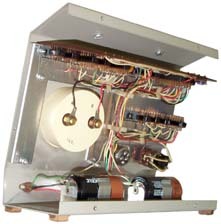 HP 204B - Audio Oscillator - dial frequency control, part of the 3550 triple instrument telephone line test set. HP 5100 - 5110 Synthesized RF Signal Generator - uses math and phase locked loops, many pushbuttons. multiwire interface, used by BR communications to develop the chirp sounding system. HP/Agilent 8648A Signal Generator with options 1EP and 1E5. IEP is the pager option that allows generating POCSAG, FLEX and FLEX-TD pager signals and includes a built in function generator that will allow internal modulation from 10 Hz to 20 kHz with a sine, triangle, square or ramp wave form. 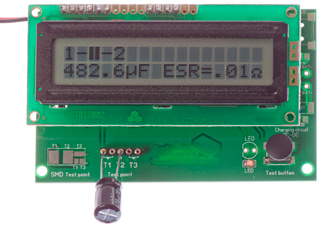 This function generator is also available without the paging features as option 1E2. Because of the built in function generator a separate audio generator is not needed. HP-IB. The 8648 did not have good enough stability for pager testing hence the 8648A with much improved specs. 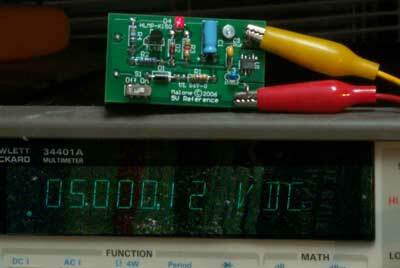 Stanford Research SC10 - 10 MHz double oven crystal oscillator retro fitted into old Gibbs frequency standard. Gibbs Frequency Standard. This unit had a fatal design flaw. A rack mount unit with the electronics on one side and some gel cell Lead Acid batteries on the other side. What happens to printed circuit boards when you heat them and expose them to acid fumes . . . the traces are etched away. When I bought it the seller said it was only good for 1E-6 (i.e. the oven did not work, but it oscillated. I soldered wires over the etched traces and brought it back to life (parts in E-10), but after adding glass caps to get the frequency back on, the crystal finally aged past the point where it could be pulled to 5.0 MHz. The Bliley glass crystal was in the center of a dual cylindrical heater. between the outer and inner heaters was the electronics made up of ring shaped PCBs with the components between two of the rings "cord wood" style. There was a pair that was the oscillator, and two pairs for the inner and outer oven control circuits. 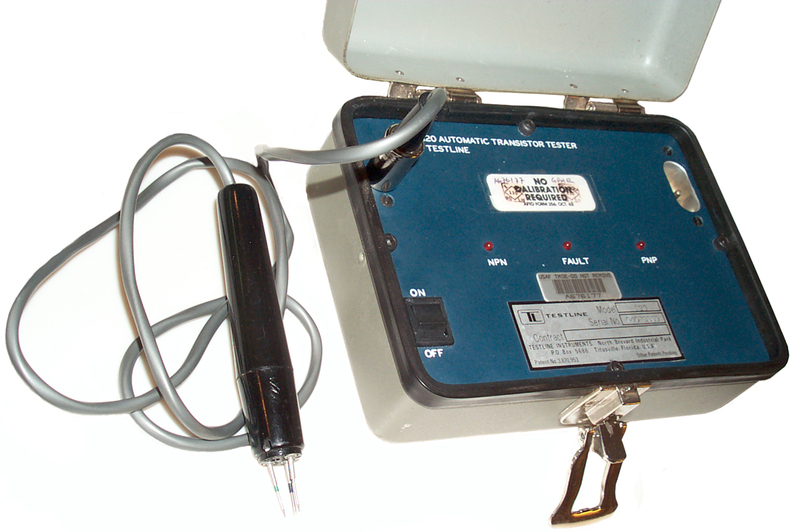 Stanford Telecom 5001A Navstar Test Transmitter - for testing GPS receivers that were built at Stanford Telecom for jitter. SG1144U - RF Signal Generator - dual analog oscillators are mixed to generate the output. These are instruments that show up in the military radio manuals but that I don't have. Just for info. TS-4084/G Distortion Analyzer Tek DA 4084 ? [an error occurred while processing this directive] page created 11 Nov. 2001.